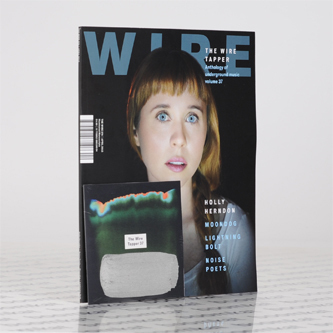 **Includes a 20-track Wire Tapper CD** In support of her debut on 4AD, Holly Herndon fronts the April 2015 Wire issue. Alsi includes features on Moondog, Lightening Bolt, Jlin, Model 500 and John Wiese. This issue includes The Wire Tapper 37 free CD with 20 tracks by Ricardo Donoso, Kevin Hufnagel, Manuel Zurria, Orchestra of the Upper Atmosphere, among many others.